Armstrong Miller offers fully reconditioned and used Range Rover Sport 224DT engines or we can fit a replacement eD4 engine. We have a state of the art garage in Rainham; Essex where we have the most advanced engine reconditioning equipment in the industry making sure you get a world class service with a replacement Discovery Sport tdv4 engine to match. Armstrong Miller has highly skilled Land Rover engine specialists who carry out the 224DT reconditioning for you at our ultra modern garage in Rainham, Essex. With their wealth of experience and knowledge and with a meticulous eye for detail, we guarantee quality replacement Range Rover Evoque eD4 engine. Get in contact with Armstrong Miller today for prices on fully reconditioned, remanufactured and second hand engines or services for your existing Land Rover engine. Armstrong Miller strives for excellent service at a lowest online prices so get in contact with our friendly customer service team today. Armstrong Miller has Land Rover trained technicians who fit replacement 224DT engines to your Range Rover Evoque, Discovery Sport and Freelander 2 in our state of the art garage. 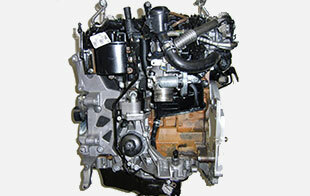 We also offer a free standard warranty on all Land Rover 224DT engines. Moreover, we deliver sd4, tdv4 and ed4 engines to anywhere in the UK. Get in touch now for the best engine recondition service at low-cost prices.